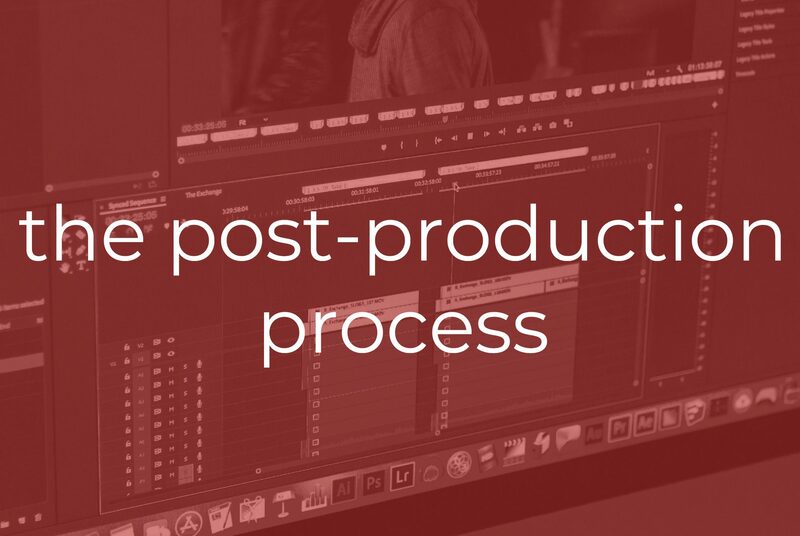 The last entry in this three part series discusses what we do in the post production phase of a project. Similar to the other phases, post production time will vary based on what type of project we are supporting. Like our productions, post production is based on the project, and time spent “in post” can vary greatly. We look at the post production process as the most important step for our clients. This is when everything comes together. Immediately after production, we begin the editing process. This is where we trim and cut the video we have taken. Each project is unique, but each category of project still has certain standards we adhere to. The list below emphasizes those standards. The cuts are quick-paced, tend to jump back and forth between the story being told and the shots of the band playing. We focus on hitting the cuts of the video to beat points within the song, this helps to engage with the viewer and bring the storyline to life. It is important that it is a high quality track, allowing the edit to further built. Coloring completes the process, to give the video a visual theme that coordinates with the music and storyline. You may see music videos have a visual element such as a blue hue, high contrast or glitch effects just to name a few. The story and shot list, from the pre-production and production phase, depict whether the edit will be quick-paced or slower. The combination of shots, narration, music, coloring, and graphics combine to make the final product shine. 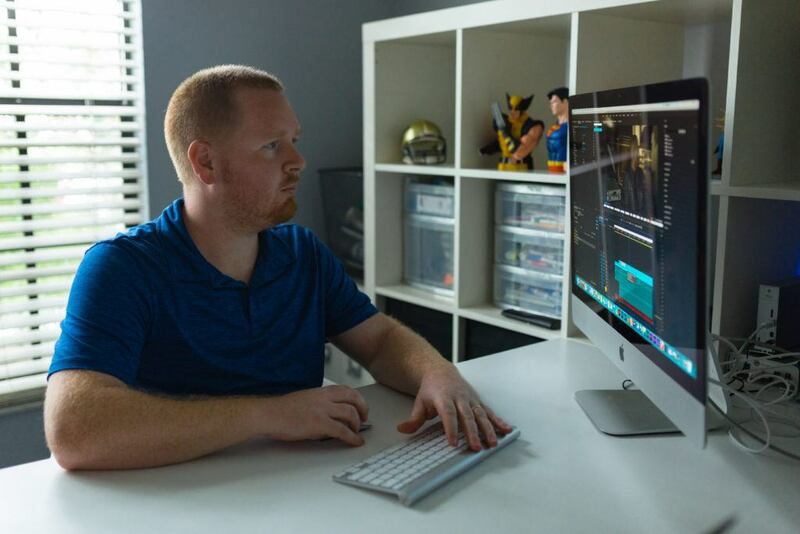 You can see our USF College of Behavioral and Community Sciences 10 Year Anniversary commercial to see a great example of how all the elements can come together to create the commercial. There can be a wide variety of projects done here. However, there is usually an element of interview where the focus is on the subject talking. We concentrate on that interview, but also use their interview as a voice over. While the subject is speaking, we use well timed cuts of b-roll video to enhance the speaker’s message. The most difficult and time consuming is that of the narrative film. As it relates, it’s also the longest in pre-production and production as well. Here, each project has its own unique style. For some projects, the scene or emotions of the characters predicate the editing. For every project, we have an overall outlook on it, whether it be the film’s theme, lighting, sound, or emotion. We then match each scene to that outlook. Edits will ultimately vary in pace from scene to scene and project to project. Our ultimate goal is to create something the client is proud of. We really don’t want a client to receive the finished version and have an emotionless, “Looks good” attitude about it. We want a positive response from our clients. For us, that is success. When it results in positive feedback and new customers for our client, that’s the icing on the cake. To learn more about working with us, read part one, The Pre-Production Process, and part two The Production Process, here.